Christmas in October? 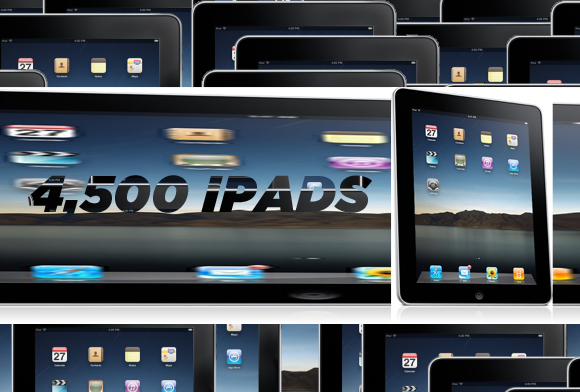 It will be when 4,500 employees of Medtronics get their hands on a huge bulk purchase of iPads thanks to Michael Hedges, CIO, VP, and global IT boss. More than just a show of brand loyalty and excess fanboy worship, the move is widely believed to be a serious push for a reduction of incremental IT over at Medtronic. It’s also part of a growing trend where corporate purchases are driving iPad sales through the roof. This isn’t the first time Mr. Hedges has been involved with the iPad. Barely a week after its official release months ago, Hedges brought over 10 of the sparkling new tablets to a trade show in Germany. It was a clever move somewhere along the lines of marketing genius as the Medtronic booth—sans large displays—attracted crowds eager for a look-see. Hedges even went so far as to describe his motivations a s” I didn’t care, I just wanted them to be at the booth.” That’s a very common sense answer, we might add—except for the industry expert, who meticulously checks out booths at trade fairs anyway? Considering the scale of the IT upgrade at Medtronics, Hedges will reportedly impose a 4-year refresh rate before another mammoth investment. We actually wonder what the Medtronis people are going to do with all the spare laptops/desktops lying around once the iPad begins its dominion over there.